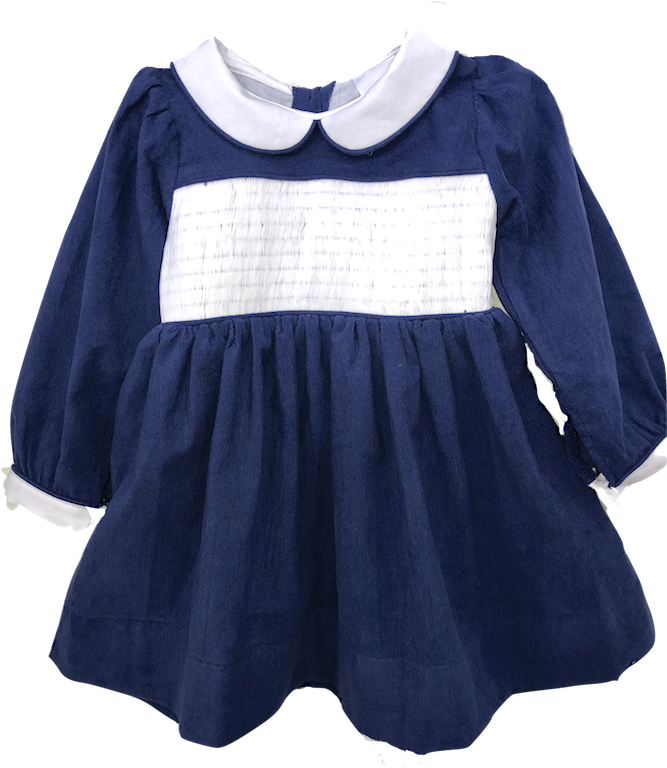 This blue long-sleeve yoke-style ready-to-smock dress has a white inset, collar and cuffs. It is made of 100% cotton fine whale corduroy. It is completely back-smocked to make smocking it quick and easy!